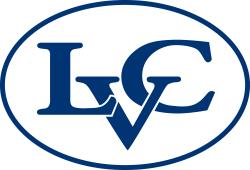 Lebanon Valley College offers degrees in health sciences, actuarial science, analytical finance, physical and natural sciences, computer & data science, mathematics, arts, music education and production, digital communications, design and technology, criminal justice, business, English, environmental and global studies, and more. Students get a full undergraduate experience while pursuing bachelor’s degrees and combined bachelors’/advanced degrees such as athletic training, physical therapy, speech-language pathology, and the accounting 3+1 MBA. They embrace campus activities and celebrate their talents by joining the 150-member marching band, participating in theater productions, conducting summer research, running the College’s VALE music label, and competing on the 25 NCAA Division III Flying Dutchmen athletic teams. Students love LVC’s caring and helpful environment and beautiful campus. They come from families of all income levels and backgrounds and receive financial aid and scholarships, along with guidance from faculty, staff, and students as they work toward successful careers and fulfilling lives.